Lexy was one of my models for the JCP Street Team Shoot. 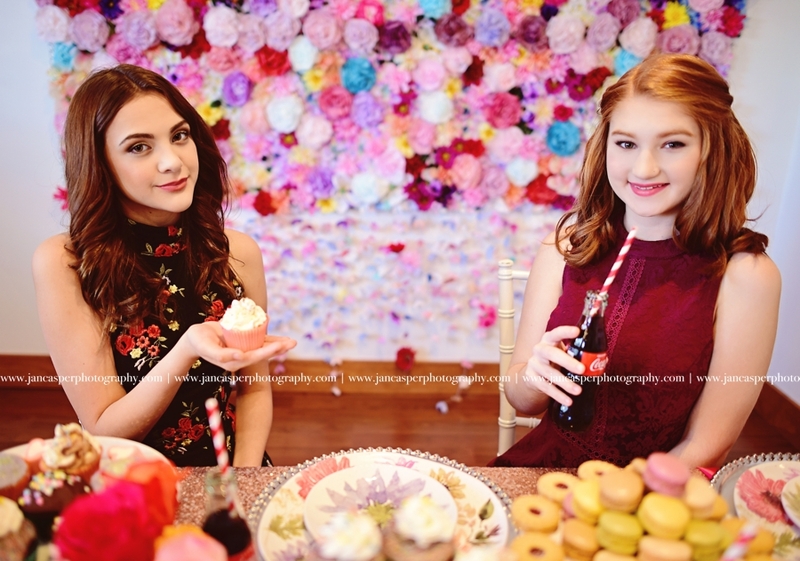 The photo shoot had a party theme with colorful backdrops and a fun table full of cupcakes and cookies. 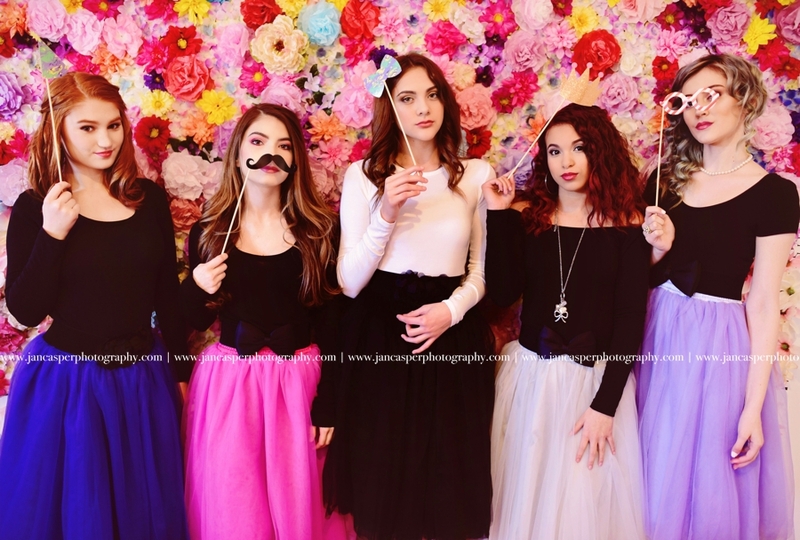 The girls wore cute party dresses and super fun poofy tulle skirts with black or white tops. Lexy looked gorgeous in both outfits. This was our first time woking together and she did an amazing job. 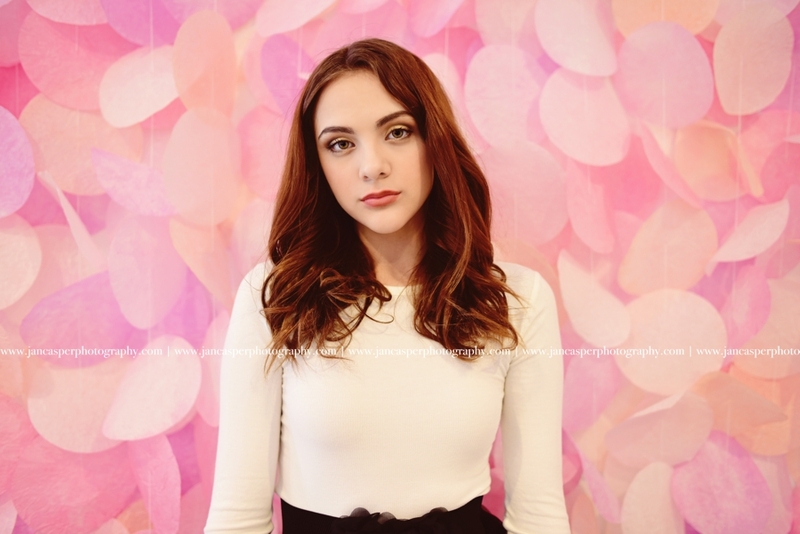 Her photos look beautiful. I can't wait to work with her again for the next JCP Street Team Photo Shoot. The beach is a perfect and popular destination for senior portraits. First Landing State Park in Virginia Beach has a beautiful beach with the prettiest sunsets in the area. Another option is Fort Story beach, it has lots of really cool locations to use with wooden walkways, gorgeous sand and large rocks. Virginia Beach has plenty of gorgeous beaches to choose from for your senior session. Please Contact Jan Casper to book Your Beautiful Beach Senior Session. Erica was one of my amazing models for a 90's themed senior shoot. All the girls wore grunge style outfits. I did the shoot in the Neon District in Norfolk. The murals in the arts district made a perfect backdrop for the shoot. Thank you to Krysta from Beauty Box Studios for the gorgeous makeup. Contact Jan Casper to Book Your Unique Senior Session! Julie was one of four models that participated in a styled senior photo shoot in Marfa, Texas. The location was beautiful. We used a tent at the El Cosmico camp site. It was a perfect space for the photo shoot. Julie was styled in a '70's sporty outfit that looked awesome. She was such an amazing model. 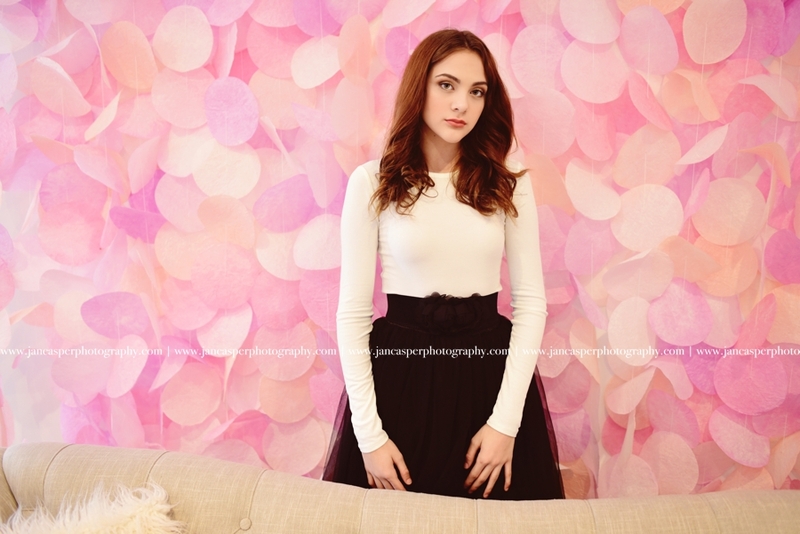 Contact Jan To Book Your Senior Portrait Session Today!